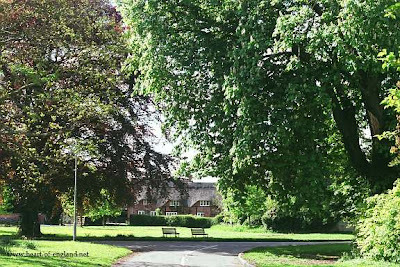 A view across the village green at Long Itchington, overshadowed by chestnut trees. Another view across the village green at Long Itchington. 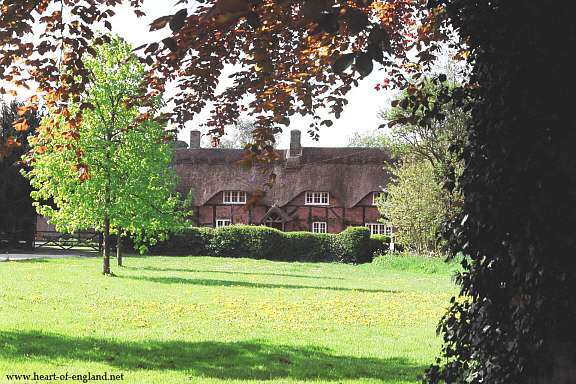 The yellow hue on the grass is caused by the carpet of wild flowers. 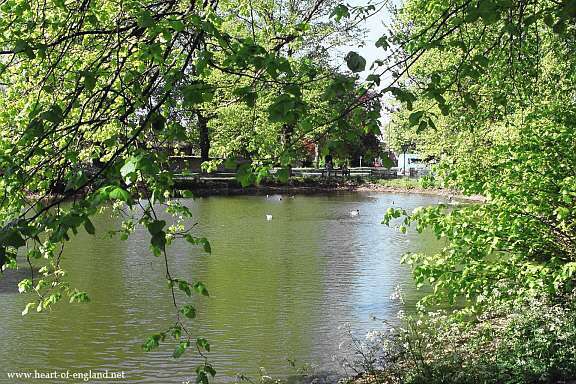 Close by the village green is the village pond, which is the largest village pond in Warwickshire. 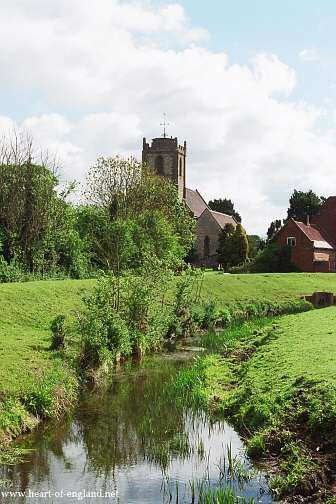 A view of the River Itchin, which gives the village its name, and beyond, Holy Trinity Church. 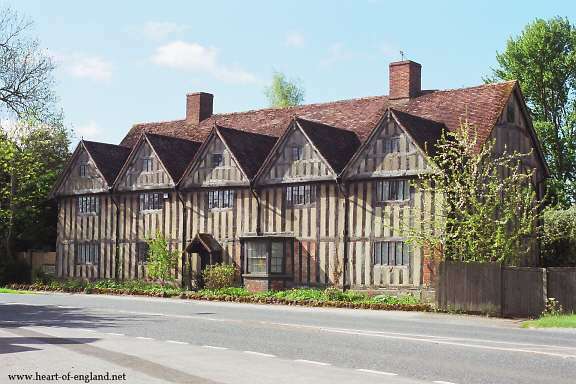 The 16th Century Tudor House. Elizabeth I stayed here in 1572 and 1575, when it was the home of Lady Anne Holbourne, daughter of Robert Dudley, Earl of Leicester.